Joe Fry is a full-time professional Singer/Songwriter performing 2 - 4 times or more per week all around the St.Louis area. 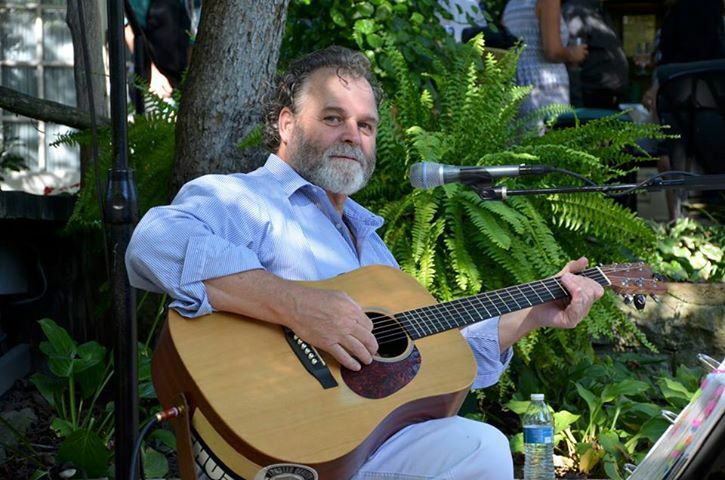 He is a naturalist who performs with such raw emotion rarely seen with just the acoustic guitar, harmonica and his vocal talent no auto tuners or karaoke style backups. 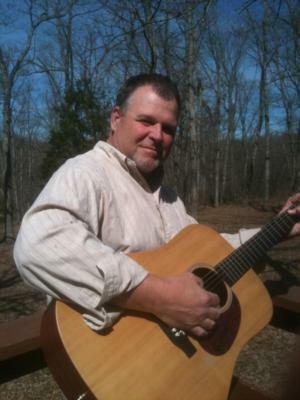 He will amaze you as he plays a wide variety of rock, country and contemporary songs you know and love. From Large Corporate events to small weddings and everything in between. He is one of the best St. Louis has to offer. Very personable and great interaction with his audience paying attention to each and every detail of your event. Joe Fry was born into a musical family where music filled the air at all different times of the day. His father the original Joe Fry the guitar guy, who passed on his love of music and the God given talent, that just so happens to be more caught than taught. By the young age of around ten I sang in Church, as well as with my father as we entertained in the bars in the city of St. Louis Mo. I would dance and sing on top of the bar, therefore, soaking up all the attention. That was the hook! There was no turning back after that. Once you've been bit by the applause of the crowd and the feeling of all of their eyes beaming up at you, you're hooked! By the age of fourteen, I was breathing harmonica. I would wail on the blues harp! By the age of 16, I met Richard Daniels and joined the band Com stock Load as their lead singer. Next I joined a blues band, so I could play my harmonica and blow the blues. I met Tom Shea from Ballwin Missouri and joined the band called "Tom Shea Blues Band". I joined as the lead singer, rhythm guitarist and of course, blowing the blues harp. Led Zepplin's song "Going to California" became my reality. I made the cut from over two hundred auditions in Paul Fussel's band as the lead singer. Unfortunately in 1975 Disco mania hit the country. I decided then to try a different approach. I teamed up with Joel Swan from a local bluegrass band in St. Louis, called "Sassafras Band". Back in 1977 our band was doing a lot of the same songs I'm doing today, only they weren't called oldies LOL! Joel and I played as a duet and conquered classic hits, folk, and bluegrass music in clubs all around St.Louis Missouri. Bogarts was a regular gig. Around 1980 we decided, in order to expand, to invite Shea Tignor, of St. Louis Missouri to join us. That made up the band of "Wood Axe" where we could play Classic Rock and get into more venues that wanted full bands. Life is too short to not live your dreams. I can honestly say this is my dream occupation. I'm loving it! I'm really laid back and I perform my music from the heart. You might call me somewhat of a naturalist considering I prefer to play without loop machines or auto-tuning vocal machines. I promise you a show to remember and will satisfy everyone in your party. Check out my ever-changing song list. Also I've posted some videos and audio clips to give you a sample of my musical talent. Of course, I have my material for those who want to hear some original compositions. However, my first and foremost desire is to entertain you with the songs you have grown to love. I play the popular music of our times. From old Rock n' Roll and old Country hits, through the decades, up to today's Alternative Rock and new Country tunes. I play the winery circuit around Missouri, several bars, and numerous restaurants. 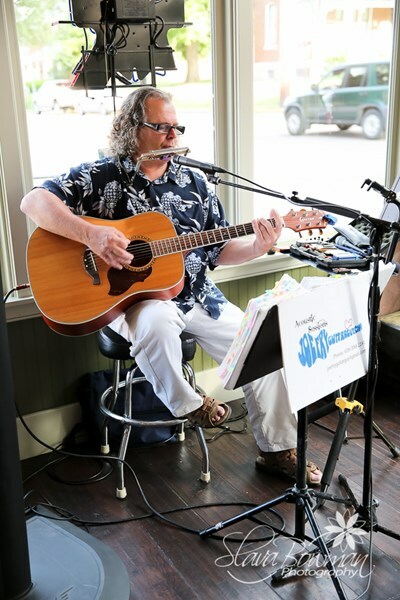 I've played everywhere from wineries, high class restaurants, biker bars, grocery stores (Schnucks), private parties, and corporate parties. I can fit into small venues where my band couldn't. However, I can fill large venues like corporate parties and tent festivals. I am a professional singer/songwriter who promises to act professional in every aspect of your vision. It is my pleasure to perform a mind blowing performance every time. I use state of the art P.A. equipment, beginning with my BOSE sound system for perfect acoustics sounds replication. I play a MARTIN acoustic guitar which is considered by most people to be the best acoustic guitar ever made. If possible I will learn to play whatever songs your heart desires. I will dress and act professional at all times while interacting with your guest and taking request. Making folks happy is my goal. I love to see people enjoying the music, dancing, and singing along. It doesn't take long for folks to see how encompassed I become in the music I play. It gets contagious. Great guy, solid musician! Kept the music going all night, with only a short break. Was even willing to play a couple of our guests requests so they could do some impromptu dancing. Overall, he added great ambiance to our dinner event and everyone loved his music and his style. Joe was awesome! I will definitely use him in the future and recommend others to try him out! He has a great voice and plays timeless classics that everyone can enjoy with a sprinkle of some more up-to-date material. Hired Joe for my father’s retirement party. He was excellent. Has a great song selection, along with a great personality. Definitely will hire him again. Joe was awesome. Picked great songs and had everyone in attendance asking for his contact info by the end because of his talent. WE LOVE JOE FRY THE GUITAR GUY! HE WAS EASY TO WORK WITH AND WILLING TO JOIN OUR EVENT IN A RURAL LOCATION. ALL THE GUESTS HAD SO MANY COMPLIMENTS! HE HAD A GREAT MIX OF MUSIC. ALL WE NEEDED TO PROVIDE WAS AN OUTLET FOR POWER. HE TOOK CARE OF THE REST. I WILL DEF HIRE JOE AGAIN.HIGHLY RECOMMEND! Joe was friendly, professional, and is an amazing talent. We will definitely recommend him and hope to have him join us again for future events! Please note Joe Fry Guitar Guy will also travel to East Saint Louis, Lovejoy, National Stock Yards, Venice, Madison, East Carondelet, Dupo, Granite City, Belleville, Caseyville, Collinsville, Fairview Heights, Columbia, Florissant, Millstadt, Saint Ann, Bridgeton, Hazelwood, Maryville, Edwardsville.